Risk is of fundamental importance in this era of the global economy. Supply chains must into account the uncertainty of demand. Moreover, the risk of uncertain demand can cut two ways: (1) there is the risk that unexpected demand will not be met on time, and the reverse problem (2) the risk that demand is over estimated and excessive inventory costs are incurred. There are other risks in unreliable vendors, delayed shipments, natural disasters, etc. In short, there are a host of strategic, tactical and operational risks to business supply chains. 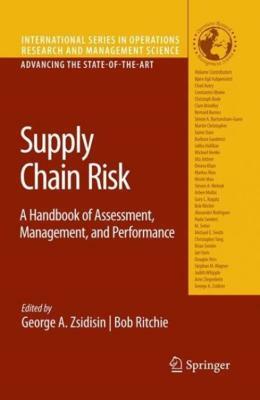 This book will focus on how to assess, evaluate, and control these various risks.